Has The Trainspotting 2 Soundtrack Just Been Revealed? Find out which 15 tracks could be set to feature on Disc 1 of the T2 album. The track listing of the T2 soundtrack appears to have been revealed. As reported by entertainment.ie, details for the accompanying music to Danny Boyle's Trainspotting sequel appears to have appeared online. 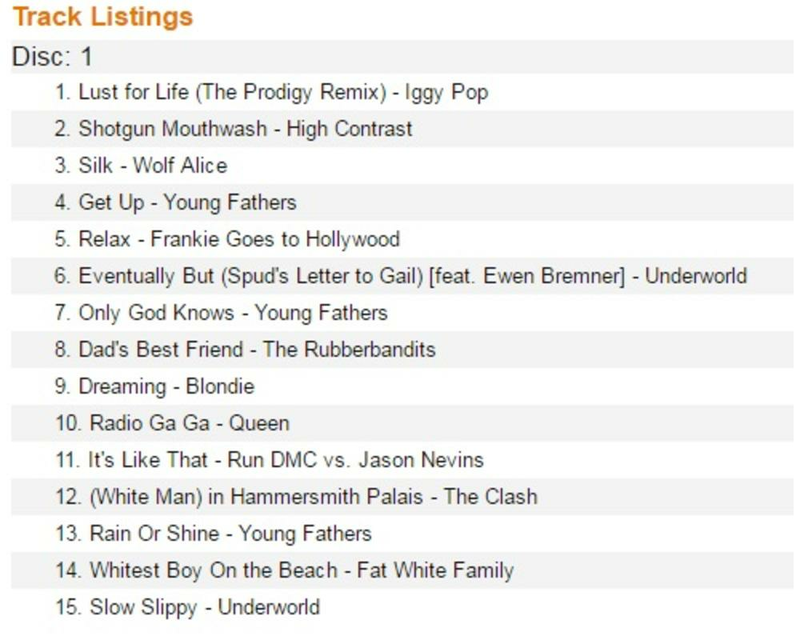 A track list, which appears to have been uploaded and deleted from Amazon, sees old favourites such as Blondie and Iggy Pop appear to feature on Disc 1 of the record, with newer acts such as Wolf Alice, Fat White Family and Young Fathers also getting a mention. While the official Trainspotting social accounts have yet to confirm the news, one thing for certain is that Wolf Alice will make an appearance, since their Silk track features in the T2 trailer.